We are always looking for healthier ways to eat in our family, and we are so excited to be a reviewer for Gorton's. You probably know that Gorton's makes seafood, but did you know they now offer 20 fantastic products that are UNDER 200 calories? They also use REAL fish or shrimp! We tried out the garlic butter Alaskan Pollock for lunch, and it was AMAZING over a fresh salad. Want to win 5 fabulous coupons for Gorton's products so you can try your own recipes? 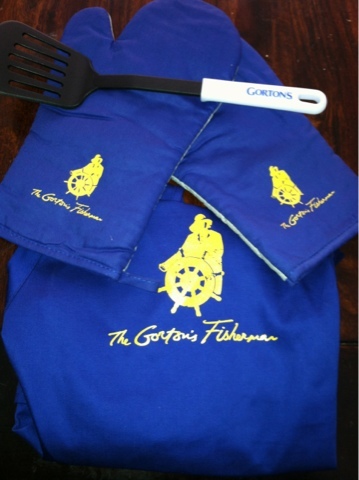 You will also win this amazing gift set featuring an apron, oven mitt, and spatula! MamaBreak received Gorton's products to review here on the site. We did not receive any other type of compensation. As always, our experiences and opinions are our own. I like the Lemon Butter Shrimp Scampi. I love the popcorn shrimp. I like the popcorn shrimp! I would like try the Classic Grilled Shrimp. I'd love to try the Cajun Grilled Fillet or Grilled Haddock. I love this - Skillet Crisp Shrimp. I love the garlic shrimp scampi and the grilled salmon! 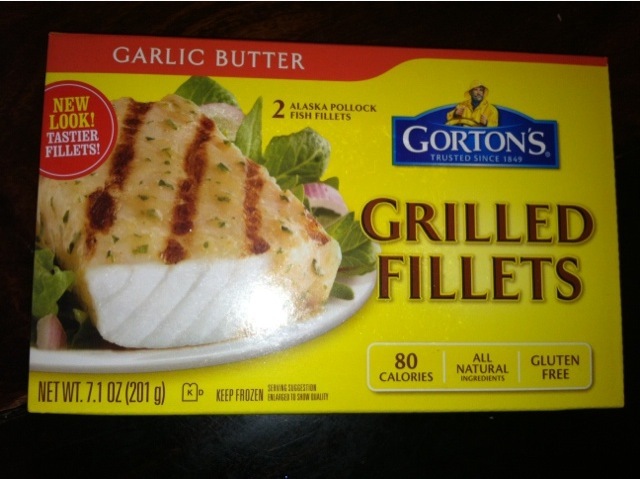 The garlic butter filets look delish! Roasted Garlic & Butter Grilled Tilapia sounds very good. My favorite is the Lemon Pepper fish fillets! I like the fish sticks sometimes but when I'm being healthier I love the Lemon Pepper Tilapia. Garlic & Herb is my fave. The Tilapia is one of my faves. THe simple bake salmon looks easy and healthy and deicious! My son loves fish sticks! I've always thought about trying Tilapia & that Skillet Crisp looks really good! I like beer battered fish and tilapia. I like the Jumbo Butterfly Shrimp! Tilapia skillet crisp sounds wonderful. My favorite is the Crispy Battered Fish Fillets. I like the Grilled Tilapia. My favorite is the Lemon Butter Shrimp Scampi. The grilled fillets and the Potato Crunch Fish. :-) Thank you. garlic butter shrimp scampi. Yum! The garlic grilled shrimp sounds really good! I love the Garlic Butter Shrimp Scampi. My Family is a fan of the Gorton's Crispy Fish Filets and the kids love the The Gorton's Fish Sticks. 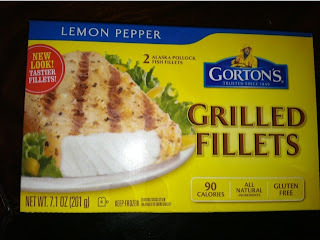 I want to try the Gorton's Premium Seafood Lemon Butter Shrimp Scampi. Gorton’s Signature Grilled Haddock Fillets is my favorite variety of Gorton's. I've actually never tried one I don't like! I especially love anything shrimp and the grilled talapia!